While not the last long weekend of the summer (that title belongs to Labour Day weekend), the August long weekend in Canada does signal fact that summer is starting to wind down – all the more reason to take advantage of an extra day off, if you get one. The first Monday of August is a civic holiday in most Canadian provinces. It is commonly referred to as the August Long Weekend. This civic holiday is often referred to by different names depending on location. The following Canadian provinces and territories have a holiday on the first Monday of August: British Columbia (British Columbia Day), Alberta (Heritage Day), Manitoba (Terry Fox Day), Saskatchewan (Saskatchewan Day), Ontario (Civic Holiday), Nova Scotia (Natal Day), Prince Edward Island (Natal Day), New Brunswick (New Brunswick Day), Nunavut (Civic Holiday), and the Northwest Territories (Civic Holiday). Quebec, Newfoundland, and Yukon do not have an August long weekend holiday and therefore conduct business as usual. · In Ontario, a range of local names are used for the holiday to honour important people who contribute to the history of the province. In Toronto for example, the August civic holiday is known as Simcoe Day after John Graves Simcoe, who founded the town of York, Upper Canada, which eventually became Toronto. In Ottawa, the holiday is referred to as Colonel By Day in honor of John By, who supervised the construction of Ottawa’s Rideau Canal and founded Bytown, which would become the city of Ottawa. · Heritage Day in Alberta celebrates diverse Canadian culture and cultures around the world. · British Columbia Day celebrates the province of British Columbia. · Nova Scotia’s Natal Day is a birthday celebration for the province. · Natal Day in Prince Edward Island celebrates the birthday of the province’s capital, Charlottetown. · In Manitoba, the civic holiday is referred to as Terry Fox Day (changed from Civic Holiday in 2014) to honour Terry Fox, a Winnipeg-born hero who stared the Marathon of Hope to raise funds for cancer. Quebec, Yukon and Newfoundland and Labrador may not have a civic holiday, but they do hold regional celebrations of their own. In Newfoundland, the City of St. John’s celebrates Regatta Day on the first Wednesday of August, the Yukon celebrates Discovery Day on the third Monday of August, and Quebec has a holiday June 24 to mark Saint-Jean-Baptiste Day and celebrate French-Canadian culture. Celebrations vary from province to province when it comes to the August long weekend. You won’t usually find events like fireworks or large festivals that you might see on Canada Day and other holidays, but various events do take place. 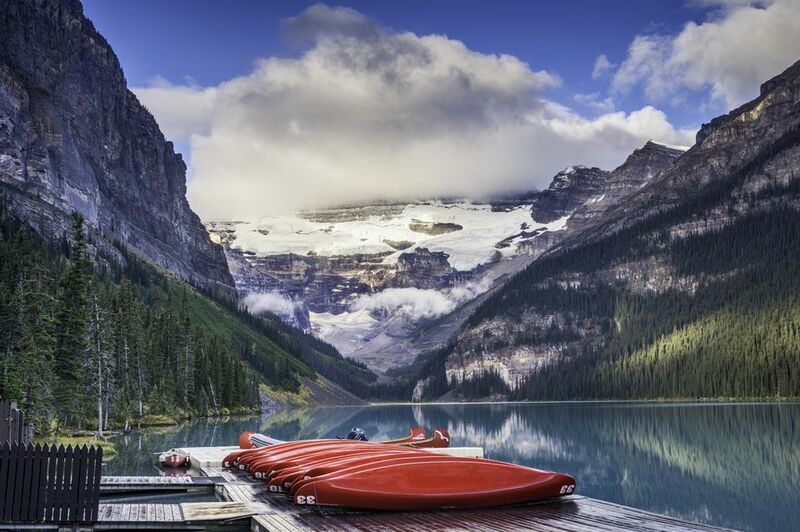 In general, the August long weekend offers many Canadians the chance to get away to cottages and cabins, go camping, or simply relax as the summer starts winding down. You can expect some business to be closed across Canada (assuming they observe the holiday), including banks, libraries, government offices and post offices (no mail delivery). Many regular businesses and attractions remain open on the holiday but often with reduced hours (call ahead before making any plans). In addition, public transit usually operates on a holiday schedule with reduced hours. Several cities in various provinces hold events or celebrations for the August long weekend, while in other areas, the weekend is more about taking advantage of an extra day off (assuming you get one). Below are some ideas for how and where to celebrate across Canada, whether specific holiday events, general weekend events happening, or fun activities for the whole family. In Alberta, locals and visitors can visit Fort Calgary for family-friendly Heritage Day activities including Mountie uniform try-on sessions, kids’ crafts, and a walk through the heritage gardens. Anyone in Edmonton can head to the Edmonton Heritage Festival featuring 71 pavilions celebrating the food, art and culture of 100 countries from around the world. In Nova Scotia, the Halifax-Dartmouth Natal Day celebrations will take place August 3 to 6, 2018 and include a parade, family activities, live music, a comedy night and more. In New Brunswick, consider checking out the Area 506 Festival showcasing music, culture and food in the province. There will be musicians from across Canada performing as well as a unique shipping container village with food, local-made goods and a beer garden. In British Columbia, there are several options for things to do over the BC Day long weekend. You have your pick of the Harmony Arts Festival (August 3-12), White Rock Sea Festival (August 4-5), Squamish Days Loggers Sports Festival (August 2-6) and Honda Celebration of Light on August 4, a huge fireworks display. In Manitoba, music fans can head to the Fire and Water Music Festival happening August 3 to 5, 2018 in Lac Du Bonnet or Rockin' the Fields in Minnedosa, also going on August 3 to 5. Fill up on BBQ ribs at the Saskatoon Ribfest August 3 to 6, 2018 in Diefenbaker Park. There will also be family-friendly entertainment and activities to enjoy. Or, if you’re theater fan, check out the PotashCorp Fringe Theatre and Street Festival (August 2-11) for a whole host of performances in the heart of the Broadway District of Saskatoon. If you find yourself in Ontario over the August long weekend, hike your way through Rouge National Urban Park in Toronto, bike along the scenic Rideau Canal in Ottawa, or make your way to one of the province’s beautiful provincial parks to camp or swim. In Prince Edward Island, celebrate the long weekend in Prince Edward Island National Park for beaches, bird watching and amazing scenery. Or bike your way along the 435-kilometre Confederation Trail for even more spectacular views.